See http://www.therapyanimalsutah.org for questions on what it takes to become a therapy animal. 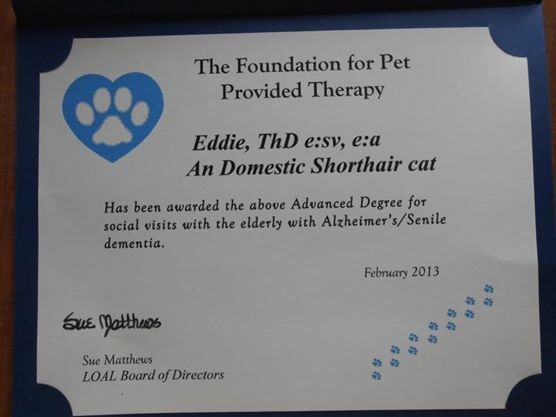 *Pet Partners and Love on Leash are the only 2 national organization that register therapy cats. I-CAT has members from both organizations. Click here for a FAQ on the basic differences between the two groups to assist you in helping find the best organization for your needs.